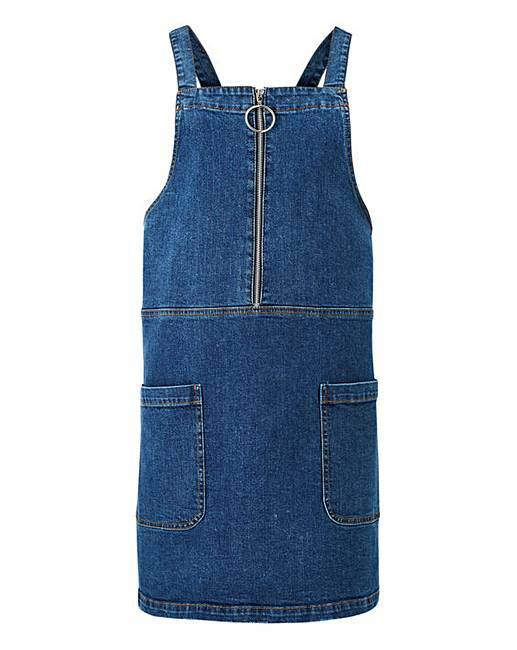 Zip Front Denim Pinafore Dress is rated 4.2 out of 5 by 10. 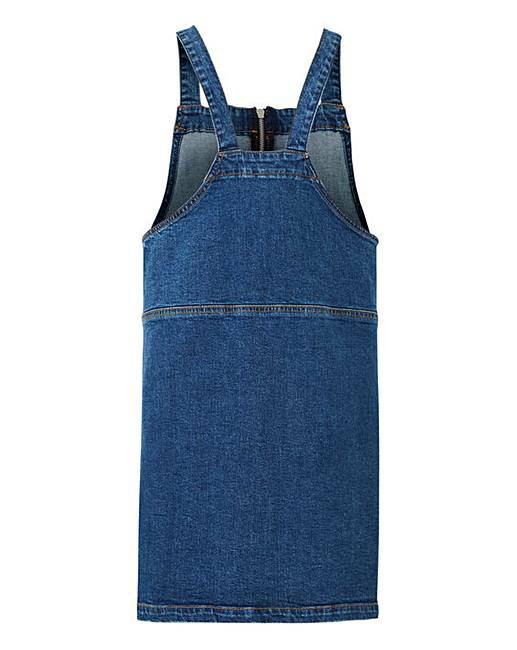 Totally on trend and totally transitional, the denim pinafore dress is a wardrobe style staple every woman needs to own. 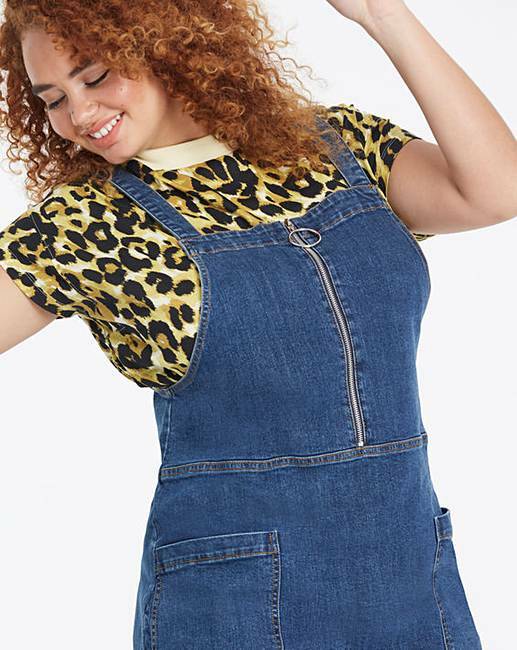 Featuring two front patch pockets, a retro style ring pull zip and made from stretch denim, layer over a roll neck jumper or a leopard print tee to complete the look. Rated 4 out of 5 by libby from Love it! I bought this pinafore a few weeks ago and have practically lived in it since!! So comfortable and love the style and length. Only negative is shoulder straps are quite long. I had to shorten them as the front was falling down all the time! 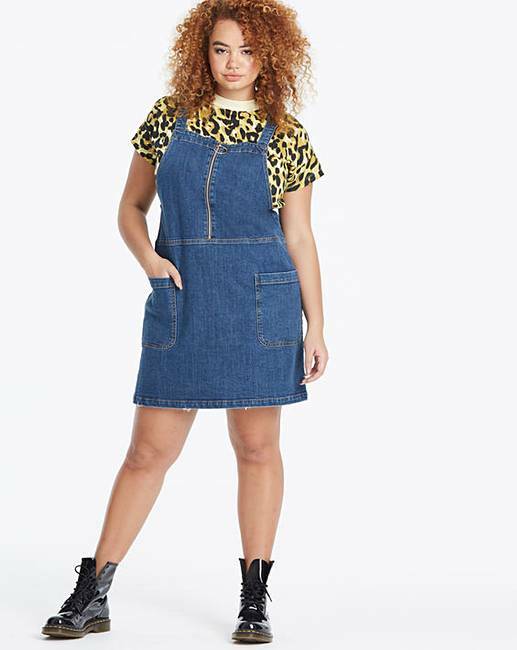 I am a size 18-20 and decided as it was denim I would go for the 20. I could have got away with the 18 i think. Rated 2 out of 5 by rachpid from Not for pear shapes! I really wanted to love this dress as I've been trying to find one like this for years but am going to have to return it. It's completely the wrong shape if you are small chested and carry your weight in your thighs/belly. On me, it was massive and gaping up top and far too fitted around my stomach. I even ordered one size up in the hopes it would make it fit better around the middle but no. Otherwise, it's lovely thick denim and on 5'7 me came to just above the knee. If only it was a bit more flared in the skirt part! Rated 3 out of 5 by beck from Nice Material Would have liked this in a skater cut as tight around the tummy area.